You must hold fast to all the acts of devotion which you perform regularly when you are not travelling. Do not make light of leaving any of them. You should make up any acts of devotion which you are unable to perform due to travelling when you are able to do so, if they are of the sort which can be made up. If it is not possible to make them up, then remember that Allah has made things easy for people travelling. The hadith states: “If a believer travels or becomes sick, Allah orders His angels to record for him the same actions that he would perform when he was not travelling and was in good health.”[1 – See Below] This is a blessing, a mercy and ease from Allah. All praise be to Allah – He is so merciful and kind to His slaves! Be consistent in reading the supplications that it is recommended to read while travelling, such as the supplication you read upon mounting (your horse) or dismounting, [3 – See Below] or the supplication you read upon entering a town. You will find a large amount of these in al-Adhkār [of Imām al-Nawawī] so look for them and memorise them. When you travel, make your spiritual ambition drive your feet forward and make your heart travel with your body. Let reliance upon Allāh be your provision, having a good opinion of Him your support, truthfulness your vehicle and neediness and brokenness your inner and outer garments. Let your contentment with Him to the exclusion of all others be your companion. You must purify your intention to go to Allah’s Sacred House, to perform the rights of Ḥajj, to venerate the things which He has made inviolable and sacred and to visit the grave of His Prophet, may Allah bless him and his family and grant them peace. In your journey to those places you should have no other purpose or aim except this and any other praiseworthy intention connected to this. Beware of combining these noble intentions with the desire for recreation or trade. You must make ṭawāf (circumambulation) of the Ancient House in abundance, for the one making ṭawāf is immersed in mercy. While you are doing so, your hearts should be overflowing with veneration and magnification for the Lord of the House. Do not busy yourselves with anything other than recitation of the Qur’ān, remembrance of Allah and supplication. Beware of idle speech. Be consistent in reading the adhkār and supplications which should be read during ṭawāf and sa`ī and in other places on the Ḥajj. You should also have the utmost concern for visiting all the sacred places. You should perform `umrah in abundance, especially in the month of Ramaḍān, for performing one `umrah in Ramaḍān is equal in reward to performing Ḥajj with the Prophet, may Allah bless him and his Family and grant them peace. You must have veneration for the two Sacred Precincts and observe the correct etiquette in them. You must also honour those living there, and give them the right due to them for living in proximity to those blessed places. Maintain a good opinion of them specifically and of the Muslims generally. If you see or hear something you dislike, be patient and remain silent. However, if you are able to openly speak the truth then do so, for no one has any excuse to remain silent unless he is absolutely certain he is unable to change a wrong that is being committed. 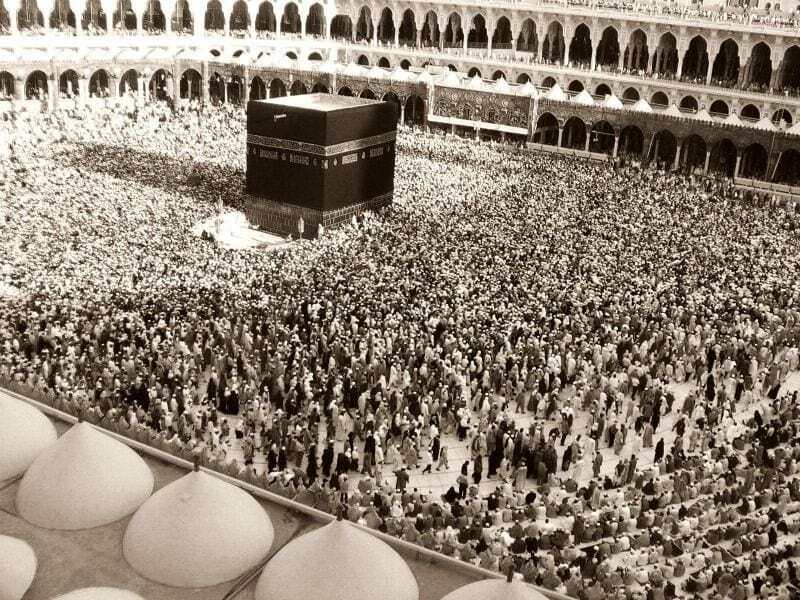 Ibn `Abbās, may Allah be pleased with them both, said: “I would prefer to commit seventy sins outside the Sacred Precinct than to commit one sin in Makkah.” May Allah protect Makkah, and increase it in greatness, stature and nobility. When you reach His inviolable House and your eyes gaze upon it, make your heart gaze upon the Lord of the House. Ḥajj has an outer element and an inner element. The outer element is the Sacred Law (sharī`ah) and the inner element is reality (ḥaqīqah). Do not focus on one element to the exclusion of the other, but rather combine the two. Know that there is a house inside you that belongs to Allāh, which is your heart. He has ordered Ibrāhīm (your knowledge) and Ismā`īl (your intellect) to purify it for the angels and spirits who wish to make ṭawāf (circumambulation) of it, seclude themselves in it, bow and prostrate in it. [6 – See below] Anyone who possesses neither Ibrāhīm nor Ismā`īl is ignorant and foolish, and the Fire will consume him. Anyone who possesses them both but does not allow them to purify the house so that it is fit for those who wish to make ṭawāf (circumambulation) of it and seclude themselves in it, is a representative of the Devil. An example of such a person is a heedless scholar who does not act according to the dictates of his knowledge and intellect. The Prophet ﷺ said: “Zamzam water is what it is drunk for.” This means that if someone drinks it for a sickness, Allah will heal them; if someone drinks it for hunger, Allah will cause them to be satiated and if someone drinks it for a need, Allah will fulfil that need. This is because the well was brought forth when Allah’s aid was sought and Allah gave relief to Ismā`īl by it. The great Imāms have tried this with their own needs and found the Prophet’s words to be true. However, it requires a correct intention and sincerity and it is not for everyone. This conclusion is somewhat appropriate to the counsels which preceded it, and someone of intellect and intelligence may derive etiquettes from these narrations which he should observe in those sacred places. 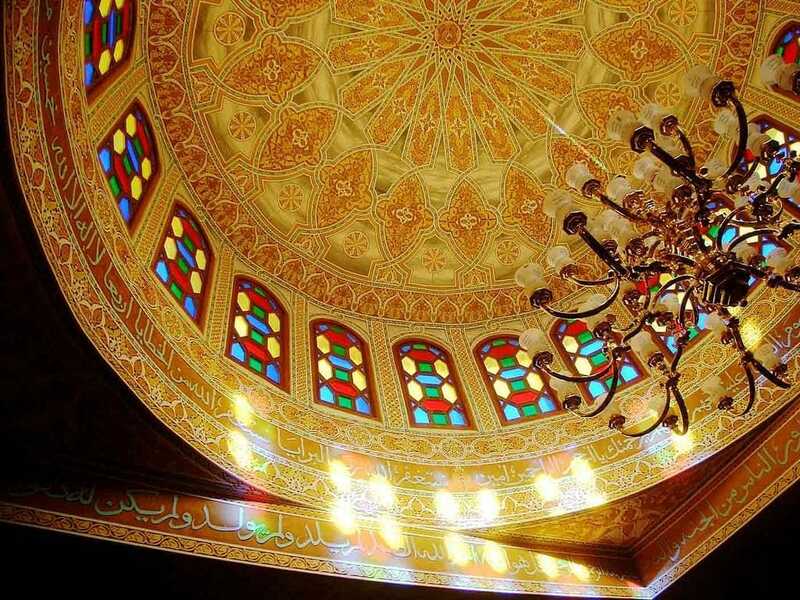 Mentioning the pious predecessors and their lives gives comfort to travellers on the path to the next life, for they are the examples which we should take. Looking at their striving helps seekers to realise their shortcomings. If someone looks at the people of his time and their heedlessness and procrastination, he will most often become proud of himself or harbour a bad opinion of them, both of which are blameworthy. The felicitous one is someone who emulates the pious predecessors, uses them as a proof against himself and drives himself to walk in their footsteps and to follow their straight path. Al-Ḥasan al-Baṣrī once stood at `Arafāt in the sun on an extremely hot day. He was asked: “Why do you not move into the shade?” He replied: “I did not realise I was in the sun. I recalled a sin that I had committed and I did not feel the heat of the sun.” It was so hot that had someone wrung out his clothes, sweat would have run forth from them. This sin that he recalled was probably a mere thought that had it come to anyone else’s mind, they would not have even considered it a minor sin. This is the veneration the pious predecessors had for their Lord and their distance from acts of disobedience. A man once took seven stones from `Arafāt and made them bear witness to his testimony that there is no god but Allāh. He then saw in a dream that he was standing in front of Allāh to be judged. He was taken to account and then ordered to be taken to the Fire. However, whenever he was brought to one of the seven gates of the Fire, a stone came and blocked his entrance. He realised that these stones were the same stones that had born witness to his testimony. Then his testimony was brought and the gate of Paradise was opened to him. `Ali bin al-Muwaffaq said: “On the eve of the Day of `Arafah I saw in my dream two angels who had descended from the heavens. One said to the other: “Do you know how many people have come to our Lord’s House to perform Ḥajj this year?” “No,” said the other. “Six hundred thousand,” he said. “Do you know how many have been accepted?” “No.” “Six people.” So I remained in a state of sorrow and distress. I said to myself, ‘What chance do I have of being among those six?’ The following night, the eve of the Day of Slaughter, I saw the two angels again. One said to the other: “Do you know what the judgement of our Lord was?” “No,” said the other. “He gave one hundred thousand people to each of the six (and thus accepted them all.” Upon hearing this, I woke up in a state of joy that was indescribable. We round off these counsels with Imām al-Ḥaddād’s address to the Messenger of Allah ﷺ on his visit to him. The rectification of my religion and my heart is my utmost goal, my Master, so assist me. May Allah’s blessings be upon you, for you are the best one who guides by the light of Allah in the East and West. 2Narrated by Aḥmad, al-Bayhaqī and al-Ṭabarānī.Rukhṣah is a dispensation; `azimah (strictness) is what Allah initially legislates of general rulings not concerned with one circumstance rather than other, or one individual rather than other. (“Reliance of the Traveller,” N. Keller c6.1-2). 3 In our times this applies to any vehicle which you may board. 6The Imām is referring to Allah’s saying: We took a covenant with Ibrāhīm and Ismā`īl that they purify My House for those who wish to make ṭawāf (circumambulation) of it, seclude themselves in it, bow and prostrate in it (al-Baqarah, 2:125). 7 The ḥijr is the crescent shaped area immediately adjacent to the Ka’bah. It was originally part of the Ka’bah. 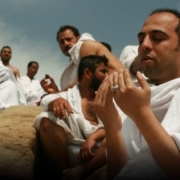 Can I Prepare My Hajj by Watching Videos Online and Reading Books?